Are Distractions a Problem When you Drive? Despite the limited amount of driving time it takes to achieve your full license, more and more drivers believe that once they receive theirs, they are so skilled they can drive with their eyes closed. If you have ever caught a bus or even watched television for an hour or more than the chance are that you have some form of promotional material about staying focused when you drive. That is to say, don’t be a distracted driver! However, despite the presence this message has, too many drivers don’t take heed. 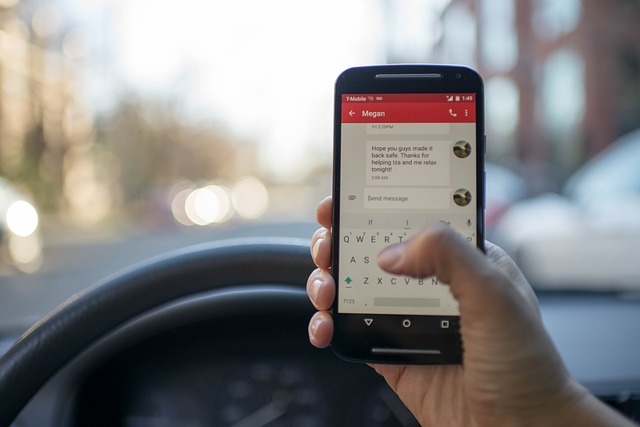 If this sounds like you and you find yourself looking away from the road more than you know you should, below is a post from Progressive Products with information on how you can avoid two of the most common driving distractions. While it’s warming up, you get yourself settled and, as you pull out of the driveway, press ‘Play’. After two or three songs you notice that the music changes to something which just doesn’t fit your morning mood. Annoyed, you fumble around your passenger seat and your bag to find your phone and change your music or you start to press random buttons on my car-radio system trying to change the music. Of course, it doesn't work and you eventually take your full attention away from the road for a few moments and solely on changing the music. More coffee please (music to wake you up). Finally the trip home (your favorite songs to entertain you on the way home from work). Wake me when we get there (music for a road trip). Karaoke Errands (songs you can sing to as you zip around town completing your errands. Of course, if you have any other errands or regular trips which you complete then be sure to create a playlist for these, also. With these at the ready, you can easily select the right playlist as you start your car and not have to worry about taking your focus off the road to change your music. Click here to buy AMSOIL Signature Series 0W-20 Synthetic Motor Oil and give your engine a performance boost. Speak with an expert at Progressive Products by calling (425) 483-2582 to find out how a synthetic oil change in Lynnwood, WA can benefit your vehicle. You get in your car and drive to the grocery store. Along the way your phone makes a beep to tell you that you have a message. You don’t know who it’s from or what it’s about but you’re sure that if you don’t read it and reply then the world is going to end! Instead of pulling over you fumble around and glance at your phone. Of course, now that you have seen it you simply must reply! Before you even have a chance to look away from the road a voice from your phone announces the name of the sender and offers to read you the message. Without looking away from the road you simply speak ‘Yes’, and have the message read. Once you have listened to the message your phone prompts you again asking if you would like to reply. You take advantage of the opportunity and reply to the message (turns out it wasn’t from NASA telling you that the world was ending after all). A similar scenario only in this instance the driver didn’t need to take their focus off the road to read or reply to a message. Of course, it isn't just messages, this option works great for phone calls and even emails. Once you have finished creating your playlists from the tip above, take a look through the options in your phone and locate the digital assistant. Even if you have an older more basic phone it’s likely that it will include even-the-most basic service which can provide the above services in addition to many others which can help keep your attention on the road while you drive. Staying focused on the road while you drive is the most important aspect of driving. Be sure that your attention isn’t taken away from the task with music, calls, or even flashing lights on your dash. Check out the online store or speak with Progressive Products at (425) 483-2582 to find out how a synthetic oil change in Lynnwood, WA can boost your engine performance and work to improve its lifespan.